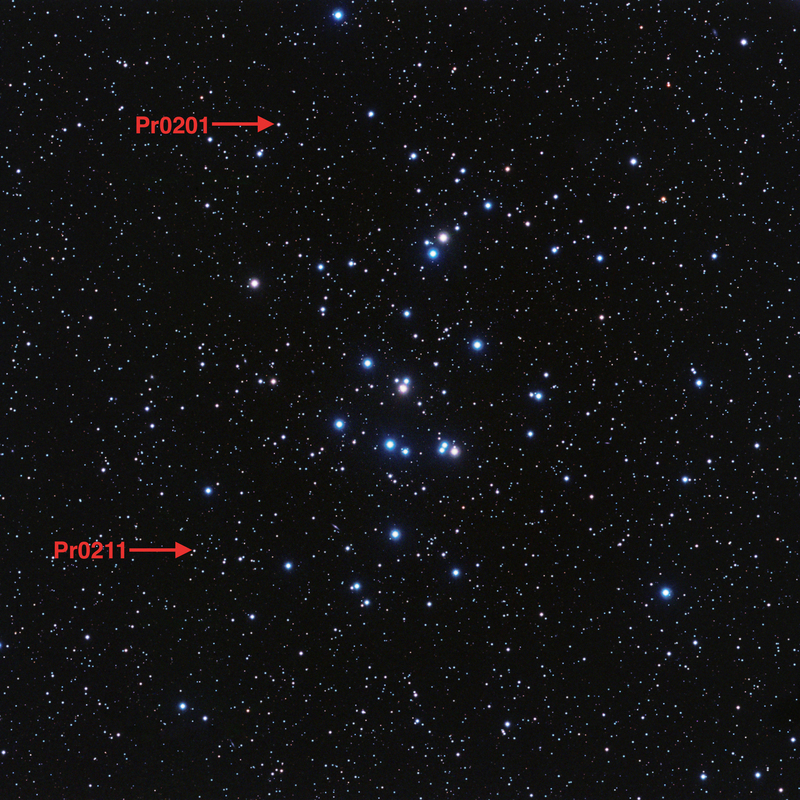 This image of the Beehive star cluster points out the location of its first known planets, Pr0201b and Pr0211b, or, as astronomers call them, the first 'b's' in the Beehive. 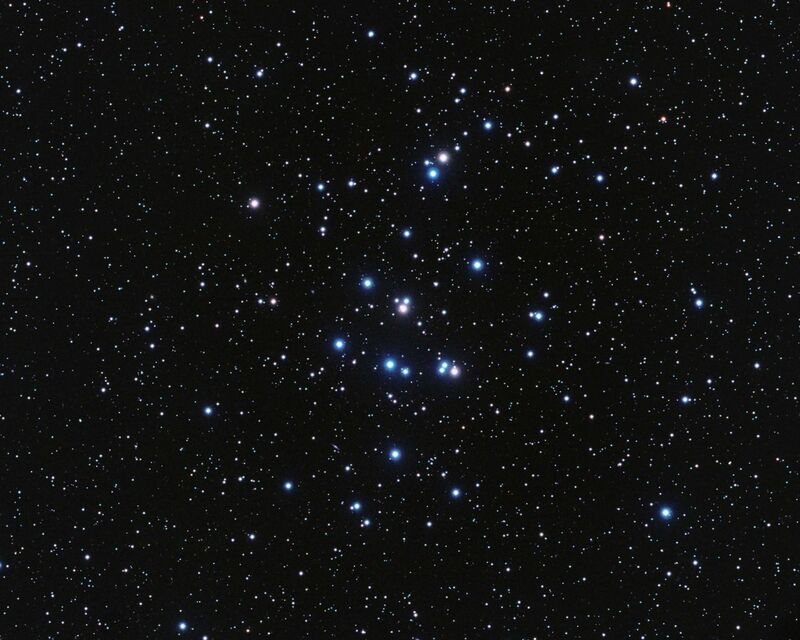 The "open cluster," also called Praesepe, is a collection of about 1,000 stars all loosely bound together by gravity, located about 550 light-years away. 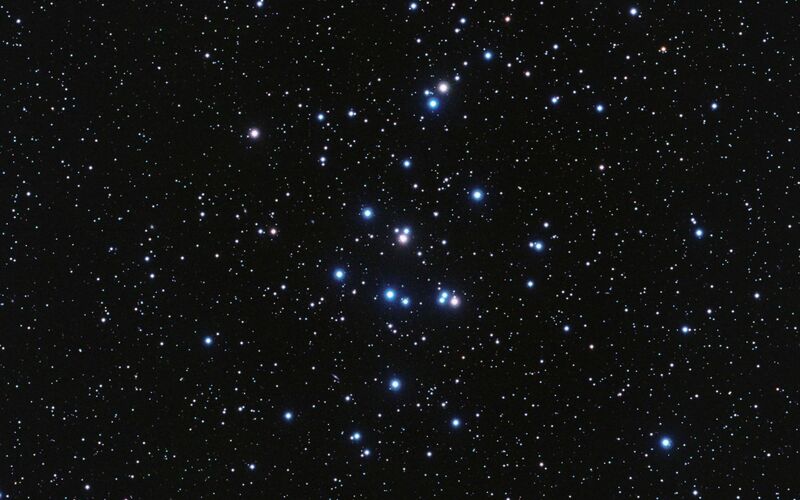 The stars were born out of the same cloud and have remained together for the past 600 million years. Eventually, they will disperse and head out on their own. 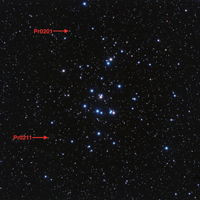 Astronomers found the planets Pr0201b and Pr0211b orbiting different sun-like stars in the cluster. The planets are both "hot Jupiters," which are gas giants like Jupiter but whip closely around their stars in just days. They are the first planets ever found around sun-like stars in a cluster, offering further proof that planets can sprout up in dense stellar environments. 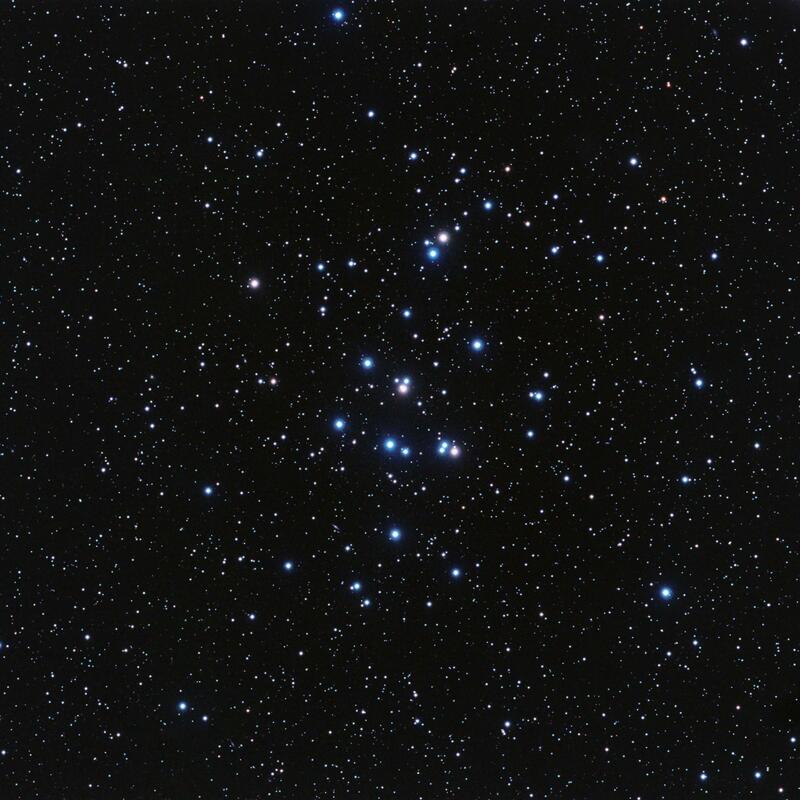 The Beehive cluster can be seen in dark Northern skies in late winter or early spring with the naked eye. 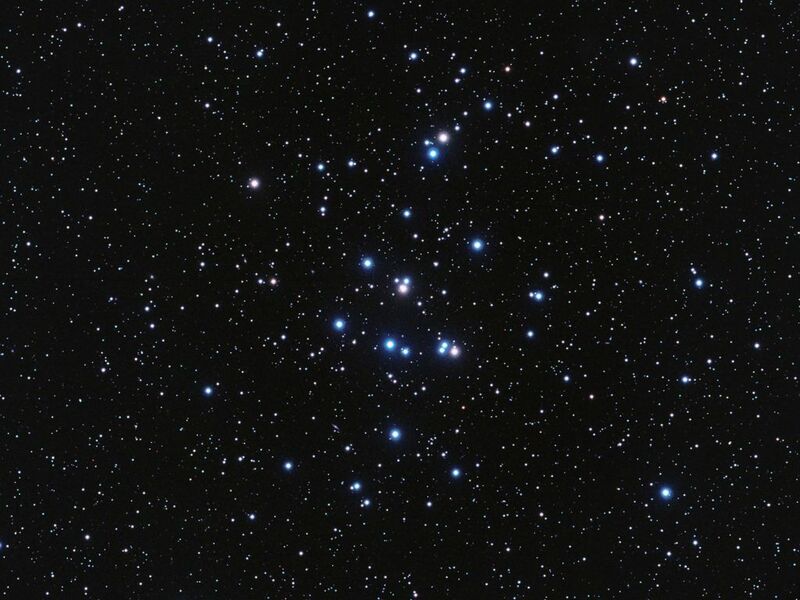 The stars themselves can be seen individually with the help of a telescope.